Some significant examples of the original housing programme which are of quantitative and qualitative importance, put forward by Olivetti and managed by the Olivetti Employees’Housing Advisory Office (UCCD): Fiò Bellot condominium (Via Pinchia 3; 1951), Villa Prelle (corso Jervis 39; 1951), Casa Stratta (strada Monte Navale 8e; 1951), Casa Morucci (via del Lys 11; 1958) and Casa Perotti (via del Lys 9; 1958). 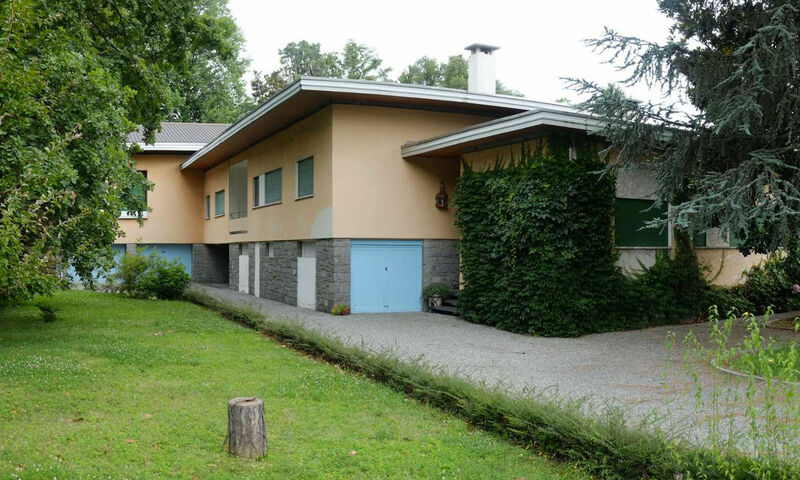 These buildings, all designed by UCCD managed by the architect Emilio Aventino Tarpino were financed by a loan from Olivetti to its employees offering a standard design later adapted to the needs of the client and his requirements. Like the single family houses by Nizzoli, the houses designed by UCCD are for single families taking into account the social ambitions of the employees and generally responding to certain compositional elements which when put together allowed for a wide range of solutions. Finally on the strada Monte Navale one reaches Villa Gassino (strada Monte Navale 8f, designed by Eduardo Vittoria, 1955-1956) and Villa Enriques (strada Monte Navale 5, designed by Annibale Fiocchi, 1944). These buildings are part of a group of top level buildings destined for top ranking personnel designed by architects already working in Ivrea on jobs commissioned by Olivetti. Villa Rossi, designed between 1959 and 1961 by Emilio Aventino Tarpino for the housing project commissioned by the Ufficio Consulenza Case Dipendenti Olivetti (Olivetti Employees’ Housing Advisory Office) is situated in via Castellamonte when arriving from the south-east on a natural hillock in front of the Olivetti Building.